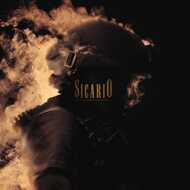 A mix of quietly emotive, violin-led symphonic song and distorted, dissonant, percussive orchestral noise, Sicario [Original Motion Picture Soundtrack] delivers tension and off-kilter anxiety in both hushed and hyper musical moments. Superb music, but terrible pressing ! No reaction from the General manager when I claimed about this. Frustrating experience, not at all to be expected from such a professional shop profile.